This lesson focuses on teaching the skills of surfing and how to handle yourself and your surfboard in the ocean. Be warned it’s not as easy as the pros make it look. In fact, there’s an international comedian who states that it would be easier to eat handfuls of sand and drink a bucket of salt water! In the company of Matt Grainger and his team of friendly, Surfing Australia qualified instructors, they make it as fun and easy as possible. Matt himself has been teaching surfing since 1983 and is more than qualified with many years experience competing in pro events as well as being Head Coach of the NSW team, Level 1 Presenter and current NSW and Northern Beaches Champion. 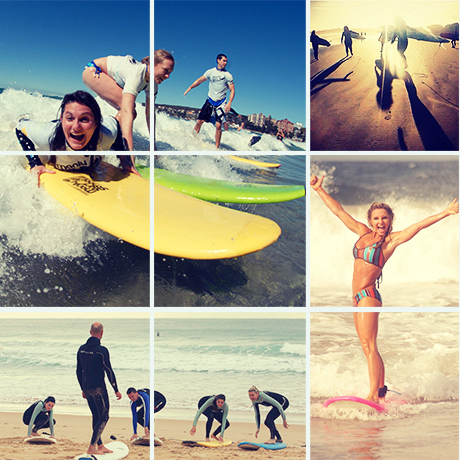 The surf school team are all Surfing Australia Level 1 qualified instructors, all hold senior First Aid and Advanced resuscitation, have competed in ASP pro events and have a minimum of 5 years teaching experience and 15 years surfing experience. So you are definitely in expert hands.